Three is never a crowd when diamonds are involved! 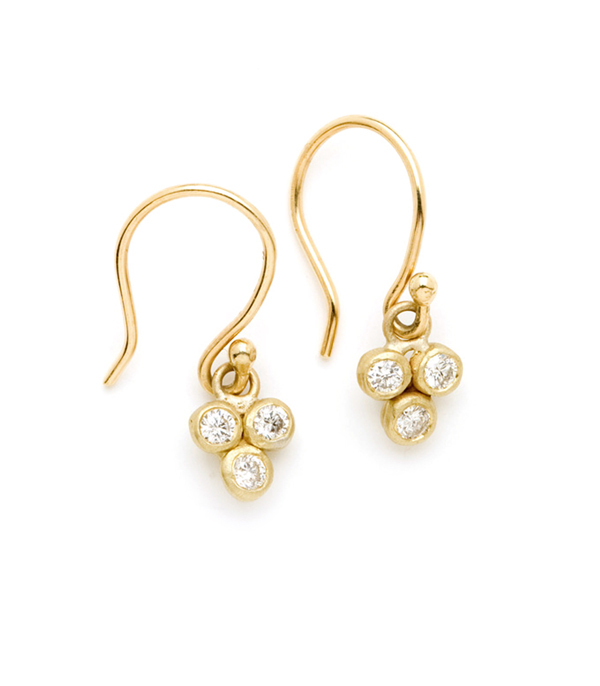 Our Diamond Cluster earrings feature three twinkling diamonds (0.21 ctw) set in textured bezels dangling from ear wires. A small earring with a surprisingly big sparkle! Also available as stud earrings. Contact a stylist to request this option. Categories: Earrings, For the New Mom, Holiday, Natural Beauty, Tresor.